Long time no blog! I've been so busy with my course recently, sorry! The ring is huge and bling! It's adjustable on the bottom and makes a huge impact! 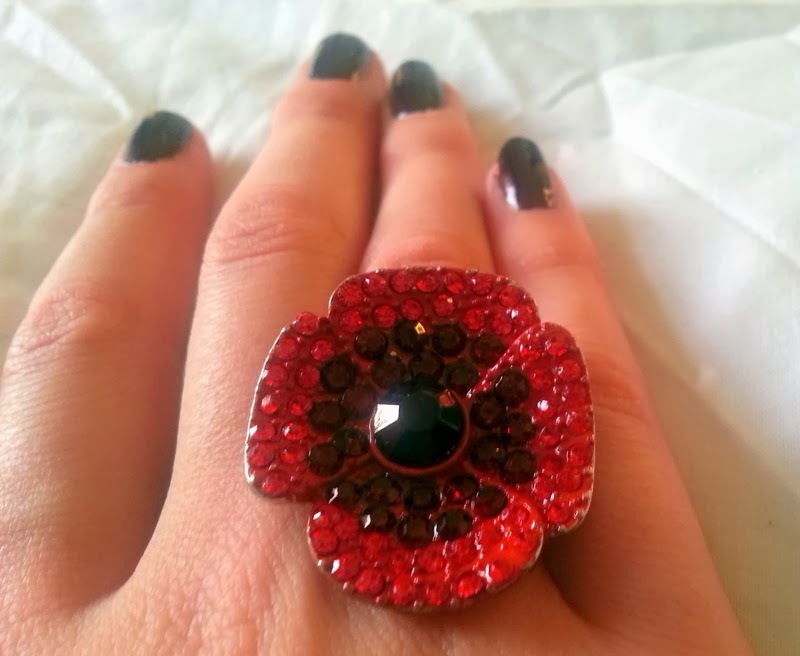 I love it as an alternative to a paper poppy, although would still like to buy a paper one every year or something pretty to help the cause. 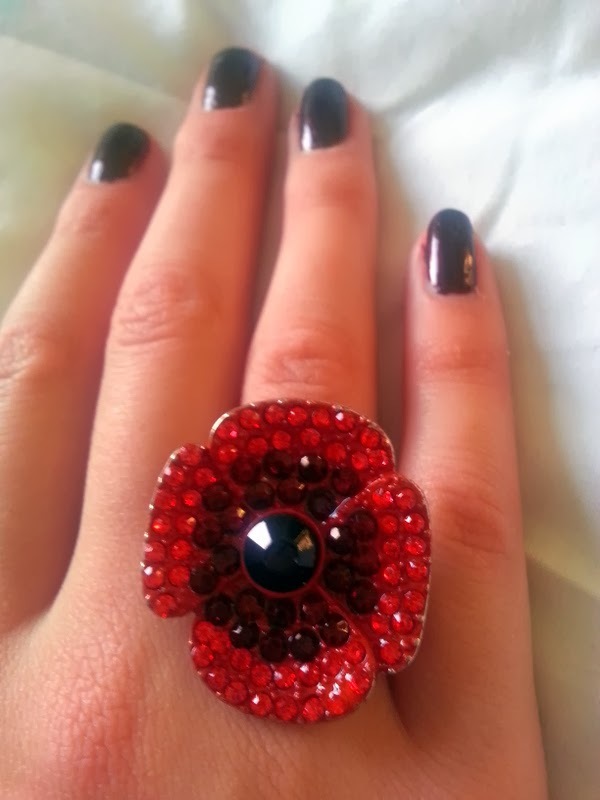 The ring costs £12 from John Richard at Debenhams with £3.60 going to The Royal British Legion for each purchase. Such a beautiful ring! I love this - and it's great that some of the proceeds go to charity too. Awww...this is so cute!!! Love the color combos and the size is just perfect. Love it! Great item for a good cause.